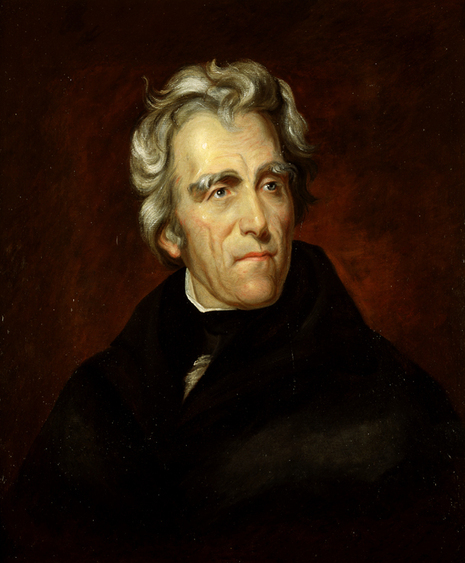 The election of Andrew Jackson was heralded as a new page in the history of the Republic. The first military leader elected President since George Washington, he was much admired by the electorate, who came to Washington to celebrate "Old Hickory's" inauguration. Outgoing President Adams did not join in the ceremony, which was held for the first time on the East Portico of the Capitol building. Chief Justice John Marshall administered the oath of office. After the proceedings at the Capitol, a large group of citizens walked with the new President along Pennsylvania Avenue to the White House, and many of them visited the executive mansion that day and evening. Such large numbers of people arrived that many of the furnishings were ruined. President Jackson left the building by a window to avoid the crush of people.